"Cat Stairway to Heaven" Free pattern from McCall's quilting Photo from 24 Blocks. 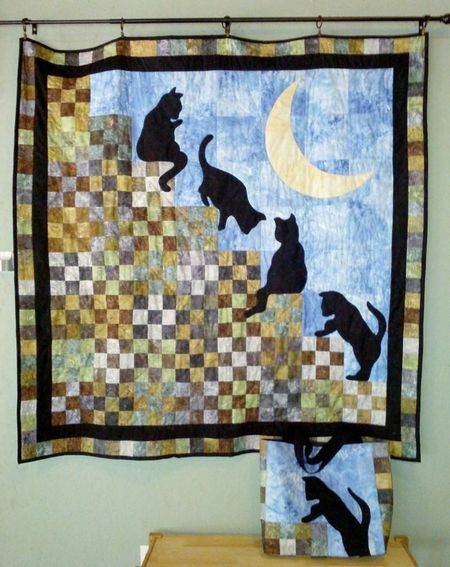 This Cat Stairway to Heaven Quilt designed by Barbara Dubovsky of McCall's Quilting. The Pattern is available for free.